Are you bored looking at your garden? Or do you feel it's not that exciting to stay outdoors in the evening? Well you just have to put some really nice additions in your garden to revive your desire to stay there most of the times. With these glow-in-the-dark planters you'll be so captured that you'll even think of celebrating an occasion in your own garden. 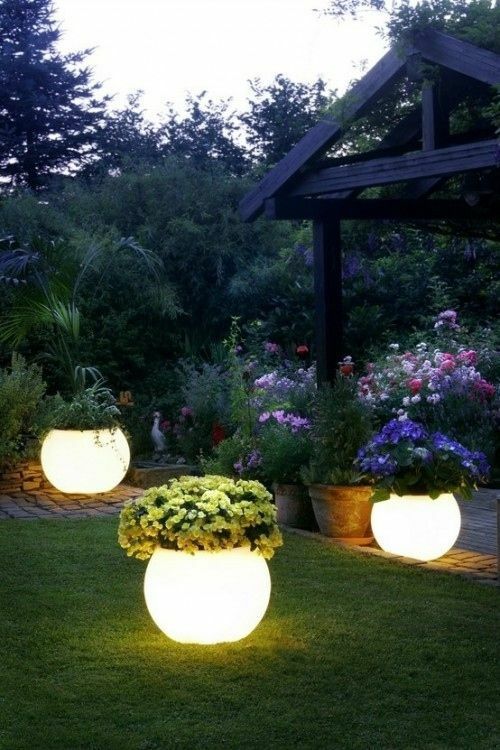 This will not only enhance your garden's beautiful plants but gives instant night lighting for any activity you might want to have. Well if you're thinking of cost these planters will not be a problem as you only have to coat your ordinary planters with glow-in-the-dark paint and that's it. You'll have the best lightings in your neighborhood without spending so much, It's not only beautiful but cost-friendly too. Perfect for night out with your kids and husband or invite your friends for a nice chit chat and reunion. I myself might consider this one for our own.